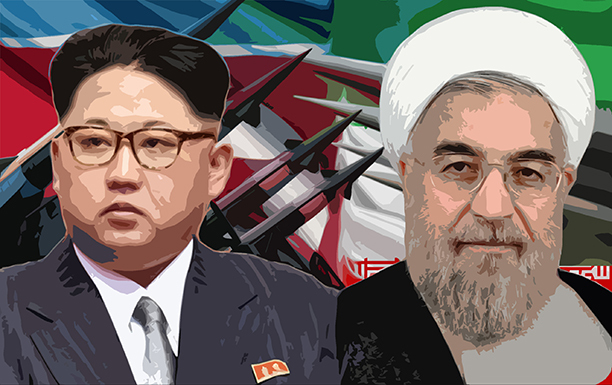 Should Iran Exit the Nuclear Deal and Take the ‘Pyongyang [North Korea] Option’? Many US corporate media outlets and establishment politicians feigned outrage that Trump ‘gave’ legitimacy to a brutal dictator who ‘forced starvation’ on his people – as if US cruelty and treachery were not already on full display in the evil and genocidal aggression on Hodeidah and the ongoing starvation siege of Yemen. The disingenuous liberal indignation over ‘normalising a dictator’ also implies that the rock-solid US relations with the Saudi, Egyptian, Emirati, Bahraini and Israeli apartheid regimes, among many others, are anything but normalisation. The dismal treatment of African Americans and other minorities, abuses against legal and ‘illegal’ immigrants, mass surveillance and incarceration, FBI and IRS coercion, Guantanamo Bay, Abu Ghraib, CIA black sites, lethal and illegal drone strikes, sanctions against civilians, dirty wars and invasions, are just a few topics that Kim Jong-un failed to raise in Singapore. The forced, abrupt resignation and public humiliation of the long-serving White House correspondent Helen Thomas, who had covered a whopping nine presidencies, for saying that the colonisers of Palestine should go back home, is but one shining example of the scope of freedom among establishment figures in the ‘Land of the Free’. When a senior State Department aide to Hillary Clinton becomes head of Amnesty International USA, and a self-declared chief propagandist at the State Department and former Time Magazine editor openly approves of propaganda directed at Americans, then all bases are covered for the deep state – and most ordinary Americans are destined to remain ignorant about many very uncomfortable truths. There is no reason to believe the US, under such circumstances, can be reformed from within. Insulting the insulter-in-chief for being obliged to respect protocol and treat the Korean ‘brutal dictator’ as an equal comprises an irresistible treasure of ironies that, here, cannot be explored in detail; yet it also raises important questions about the nature of a post-Trump US. It is true that Trump’s withdrawal from a previously agreed-upon G7 communique, along with insults and threats to punish the Canadian people for comments made by its prime minister – despite Justin Trudeau being an enthusiastic enabler of Israeli apartheid and massive Saudi war crimes – is a departure from existing norms among board members of the empire. New and unilateral tariffs on imports from the European Union, Canada, Japan and Mexico, and forcing renegotiated trade deals with South Korea, Mexico and Canada, make the US look disrespectful, unreliable and untrustworthy in the eyes of ‘allies’. Though it is difficult to sympathise, non-western countries should not mock, but rather welcome these battered cronies, even though they are still card-carrying “diamond status” members (except Mexico and its ‘bad hombres’) in Trump’s America First Club. Beyond the ‘Free World’ and its grievances, the maximalist approach towards the negotiations in Singapore adopted by Trump’s liberal political adversaries – partially out of utter contempt – reveals much about the disturbing collective mentality of the US political regime. In this one-party order – especially in foreign policy, where the Republicans are usually a bit more crude and slightly less hypocritical than their recently estranged brethren in the Democratic Party – each of the two factions persistently struggles to outdo the other in displaying aggressive, hegemonic behaviour. Although “humanitarian’ interventionists and neoconservatives are two sides of the same counterfeit coin, Democrats are somewhat more multilateral, multicultural and inclusive in matters and manners of plunder, death and destruction, as displayed in Libya and Syria. Thanks to former President Barack Obama, innovation in the Libyan economy has reached new heights and is particularly manifested in the thriving black African slave and organ trade. The hope that, post-Trump, the world will return to normal is the anticipation that the US will once again be more considerate towards its largely light-skinned western allies. For most others, it would be the same centuries-old tradition of global tyranny and barbarism that has been faithfully upheld by the Trump regime. Regardless of the ultimate outcome of the Singapore summit, the anti-Trump, hardline opposition to ‘concessions’ is a reminder and a warning that the problem is not so much an erratic Trump, but the US. As in US politics today, there was no discernable difference between Junius and Wedderburne concerning the treachery of the global empire. In the ‘periphery,’ any sign of a reasonable or humane US foreign policy is a mirage for an increasingly demoralised comprador class. Obama incrementally and slyly violated US commitments and international law, while Trump simply discards them. Both assisted in the massacre of civilians in Yemen, provided cover for mass killings in Gaza and pursued a dirty war in Syria. The underlying differences between Obama’s ‘crippling’ sanctions and ‘all options are on the table”, compared with Trump’s ‘brutal’ sanctions and ‘fire and fury”, are akin to potato, potahto and tomato, tomahto. Nevertheless, for almost three years, Iranians have been caught in a twilight zone. The Iranian government fully and faithfully implemented the nuclear agreement, while the US never seriously reciprocated. Although it became increasingly clear that Iran’s concessions and commitments were not destined to meaningfully improve conditions for ordinary Iranians, Iran felt somewhat cornered. If it threatened to exit the deal, western regimes, think-tanks and the obedient corporate media would immediately attempt to drown out the truth, blame Iran and isolate the country. However, by exiting the agreement and making Iran ‘an offer [s]he can’t refuse’, the Godfather inadvertently resolved the dilemma. Inside Iran, critics and advocates of the nuclear deal – as well as all those in between – were united, and across the globe, the regime in Washington could no longer conceal its deceit and untrustworthiness. Like a hesitant soul cautiously dipping a toe in ice-cold water, Iran was suddenly thrust into the sea and unexpectedly freed from its predicament. Some even wonder whether Trump is encouraging Iran to use the North Korean playbook – build nuclear warheads, the missiles to carry them, and then stage a photo-op in Singapore. While it will be a somewhat rough ride ahead, Trump has provided Iran with a clear road map and easier options. Remaining within the nuclear deal, known as the Joint Comprehensive Plan of Action (JCPOA), will now chiefly depend on whether Europe decides to continue cowering – and from now onwards, the option to leave the deal can be easily justified. With the mainstream liberal opposition to Trump as maximalist and arrogant as the president himself, the obvious choice for Iran is to strategically engage with a growing global resistance to a tyrannical, ever more dangerous, and collapsing unipolar world. Trump has gone a step too far. By Mohammad Marandi is a professor of English Literature and Orientalism at the University of Tehran. Previous article Years of Dollar Depreciation: Countries Accumulate Gold, Will Gold Replace the Greenback as a Global Reserve Currency?